I am forever wanting to live in festival fashion. There's something so fun about covering yourself in glitter and wearing things you wouldn't normally wear and generally just going a bit mental with your wardrobe for a long weekend. And that's pretty much exactly what I did last weekend for Wildlife Festival; a 2 day event hosted at Brighton City Airport just outside of my home town. Now when it comes to festivals I am not the kind of girl who camps so for me Wildlife was perfect. There's no option to camp at all so we got lifts there and back and stayed with my mum for a weekend. She lives in the middle of nowhere in the gorgeous Sussex countryside so each night we'd go back to hers and wake up in such lovely surroundings. It was perfect for us. Wildlife Festival is probably my 3rd or 4th festival now and when I came back, I thought about all the things I'd learnt over the years about what to bring, what to not bring and what to wear. With this in mind I wanted to create a little guide for you all, especially if you're popping your festival cherry this summer! Trust me, don't take a back pack. I know it might seem like a great idea at the time but it gets in the way when you're in a tightly packed crowd and for everyone else, it's bloody annoying. I'd recommend a small cross body bag or a bum bag. You don't need to take much with you (I'll move into the contents of the bag in a second) so just go with something small and compact. If you're going to a festival in England then the likelihood of it raining is pretty high. I'd recommend taking a "mac in a sac" or a waterproof that can be easily folded into a small bag. Coats are a pain and believe you me when you're squished up in a crowd of a thousand or more people you'll be grateful you're not wearing that North Face jacket your mum suggested you bring with you. Large crowds can get sweaty. Gross but true. This will be your saviour. Festival toilets are notoriously gross so the least you can do is lather yourself in the stuff after you've spent the last 5 minutes precariously opening the bacteria ridden toilet door with your paws. Don't be that person spending hours looking in the mirror applying your makeup before heading into the dance tent and sweating it all off. 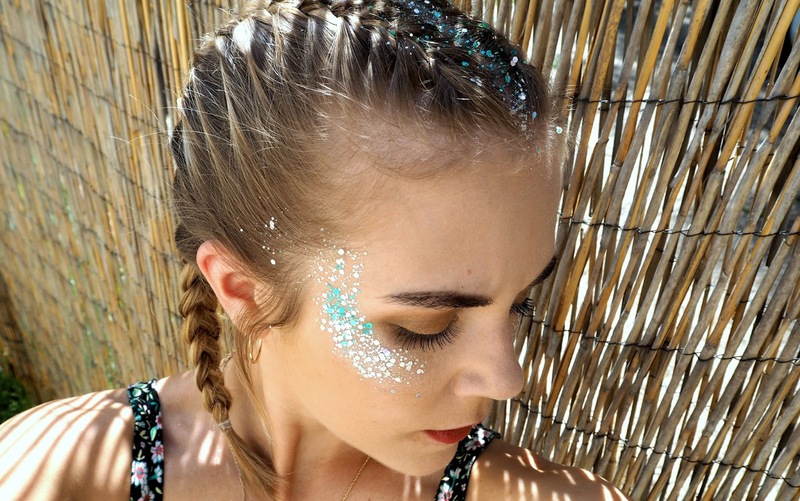 No one like a princess at a festival so keep it minimal; lipstick and some transparent powder should be all you need. Leave the rest at home/ in your tent. If nothing else it'll probably just get squashed in the mosh pit/ trampled on after you drop your bag trying to carry the round of ciders that just cost you your life savings. I personally like to feel comfortable especially if I'm going to be on my feet all day and most of the night. My outfit of choice for both days involved Converse; they kept my feet safe from the trampling and mud and were pretty comfy considering I was wearing them for a solid 12 hours each day. I opted for a skirt, crop top and a denim jacket on day one and a floral playsuit and my Barbour coat on day 2. I appreciate I said no jacket above but it got pretty chilly in the evenings and both jackets were thin enough to tie around my waist when I wasn't wearing them. Accessories wise less is definitely not more at a festival. Don't be afraid to go crazy; add glitter in places you've never even considered wearing glitter. 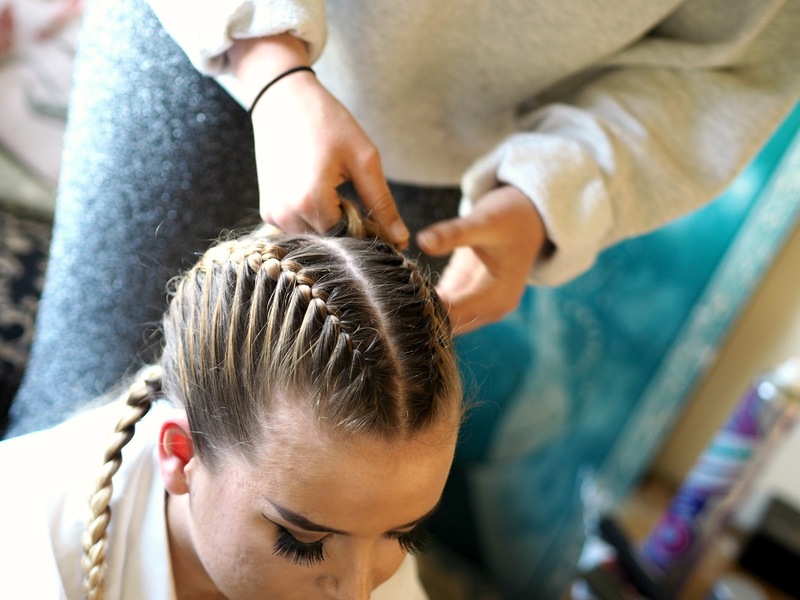 Festivals are a chance to go bold so if you're someone who's usually weary of going over the top, now's your opportunity! I'm lucky enough to have a sister who can braid like a boss. Bibi braided both mine and my other sister Alice's hair and the two of them helped me add a glitter parting. All you need for this is some Vaseline and some multi coloured glitter pots. I'd recommend staying well clear of the finer stuff and going for the chunkier glitter as this seemed to work best for us. Add the Vaseline to your parting first, smooth it in a bit then tip the glitter on top. Pat it down then voila; you have angel hair. You're so welcome. Don't take your whole wallet. Some cash, your ID and your bank card should be fine. If you can, bring an old crappy pay as you go phone. Give the number to your nearest and dearest and leave that £800 iPhone at home. Arrange a meeting place for you and your friends as soon as you get there in case anyone gets lost. Keep your wits about you at all times and don't let your drink out of your sight. Locate the "welfare" areas; you never know how you might feel after one too many Kopparbergs. Suss the toilet situation out early and whilst they are fully stocked with loo roll. Take as much as you can and run for the hills. Oh and if you can find someone who has toilet seat covers BECOME THEIR BEST FRIEND.